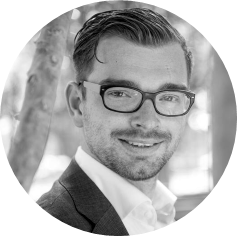 Chief Governance Officer – LipoCoat International, Ltd.
Jasper van Weerd holds a Bachelor in Applied Science from Saxion Hogescholen Enschede (University of Applied Sciences), in the Netherlands, and a Masters in Biomedical Engineering from the University of Twente. He speaks English, Dutch and German. He is credited with authoring or co-authoring 11 internationally acclaimed, peer reviewed scientific papers. In addition, he was a visiting researcher at Penn State University. He worked for 2 years on the EU HIBISCUS project, assisting with designing and testing a novel microchip CE device with integrated optics for multiplex ss and dsDNA detection. This included work at Universities in the Netherlands, Italy and the United Kingdom. The HIBISCUS project was successfully completed in February 2010 and results were presented before an EU review committee. From 2010 till 2014 Jasper was engaged with his PhD at the University of Twente, entitled, “Novel Biomedical Applications of Supported Lipid Bilayers”. His PhD has resulted in numerous public awards and credits, evolving into the launch of LipoCoat BV in 2016. Jasper holds Executive Directorships of in the LipoCoat Group as Chief Executive Officer. Alain holds an MBA from the Business School Nederland, Buren and a degree in computer science and business administration from the University of Twente. He speaks English, Dutch and German. He brings to the LipoCoat board the benefit of over twenty years’ experience in Technology and board level positions. He was a former member of the Executive committee of multi-national Getronics PinkRoccade; and CEO of Virobuster Technologies. Since 2008 Alain has been a successful angel investor, with direct experience in strategy, marketing, product launching, pricing and business acceleration. In 2010, Alain co-founded the European Accelerator Program for the European Institute for Technology and Innovation. He has also coached more than 200 high-tech start-ups across Europe including in Paris, Berlin, London, Helsinki, Leuven, Stockholm and Munich. His early career included roles at ABN AMRO, where he concluded a ground-breaking and internationally acclaimed project on artificial intelligence in the evaluation of loan applications, and at RCC Informatieservices BV, where he managed European large ticket bids and tenders. Alain holds Executive Directorships in the LipoCoat Group as the Chief Financial Officer. Raoul holds a combined Bachelor’s Degree in business administration from the Rotterdam Business School and Terry College of Business (Georgia, USA), as well as a Master’s degree in Social Sciences from VU Amsterdam. He is fluent in English and proficient in German, French and Spanish. During his career, Raoul has performed senior roles at companies such as TNO and NYSE listed leading medical device company, Teleflex, specifically for its corporate venture CD Leycom, a spin-out from Leiden University, designing cardiac function analysis monitors for use in catheter labs and operating theatres. He is also credited with contributing to several papers on medical technology. Between 2014 and 2018, Raoul took on an assignment with NanoNextNL where he was tasked with the coordination of their business incubator and accelerator programme. During his four-your tenure, he was responsible for seed funding 23 deals, with an overall investment of ca. €6m and an investee survival rate of >/ = 90%. 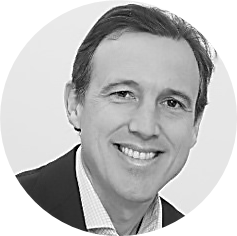 Raoul will holds Executive Directorships in the LipoCoat Group as Chief Business Development Officer. 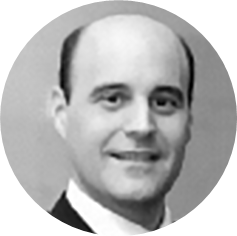 Paul Weinberger: Chief Governance Officer – LipoCoat International, Ltd.
Paul Weinberger holds an MBA from the London Business School and a BSc in Pharmacology from the University of Bristol. His public appointments have included roles as Director and Chairman of the British In-vitro Diagnostic Association (BIVDA), spanning thirteen years, and as a member of the Diagnostic Advisory Committee of the National Institute for Health and Care Excellence (NICE) for six years. His industry experience has included six years at Wellcome Pharmaceuticals, concluding as International Sales Manager, and seven years at Roche Diagnostics Limited concluding as Director of Business Development. Paul also has hands- on experience of fast growing, startups with highly successful senior roles at Origin Sciences, Lumora and Enigma Diagnostics. He brings a combination of experience of core business processes gained within the distinctive environment of Big MedTech & Pharma, the discipline of his six-year market access and governmental experience within NICE, and creative, energetic entrepreneurialism gained from his experience within three leading start-ups. Paul is focusing on the protection of shareholders and corporate governance and keeping the investor informed of developments within the the LipoCoat group as Chief Governance Officer in LipoCoat International, Ltd – the investment holding company. 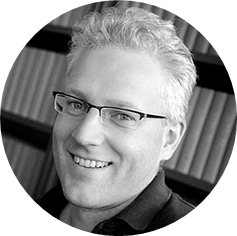 Marcel is a professor of Developmental BioEngineering at the University of Twente. Marcel’s work is characterized by a multidisciplinary approach in new clinical applications with a drive to valorize. Marcel is co-inventor and co-founder of LipoCoat and two other biotech startups (Hy2Care BV and Percuros BV). As an advisor, his network and knowledge in the field of medical device research is used to explore new applications for the LipoCoat technology. Marcel successfully raised € 26.2 million for his research, recipient of numerous awards and co-authored over 212 peer reviewed papers. 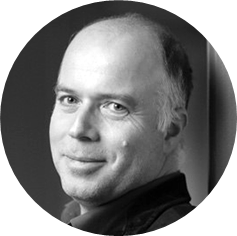 Pascal is professor of Bioinspired Molecular Engineering at the University of Twente. Pascal’s interests lie in dynamic chemical strategies to make smart biomaterials. Pascal is co-inventor and co-founder of LipoCoat and is part of the R&D advisory board. As an advisor, he contributes his keen understanding of surface chemistry, supramolecular chemistry and synthetic biology, important in realizing new applications for LipoCoat coatings. Pascal has co-authored over 119 peer reviewed papers and is the recipients of Veni, Vidi, ERC starting grants raised more than € 4.5 million in research funding. Dr Philip Lavin is an acknowledged expert in clinical trials, biostatistics, and regulatory affairs with deep clinical experience in nearly all major therapeutic areas. 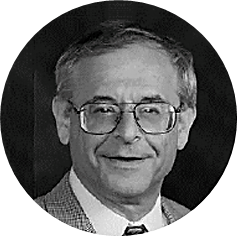 Philip founded Boston Biostatistics (renamed Averion and then Aptiv Solutions and now part of ICON plc) in 1983, Boston Biostatistics Research Foundation (BBRF) in 1988, and Lavin Consulting LLC (LC) in 2012. He was a faculty member at the Harvard School of Public Health for over 25 years and co-authored 175 peer-reviewed papers. His companies have successfully supported many IDEs and INDs and has represented clients for 40 years, leading to 66 FDA product approvals to date, including the blockbuster drug, Lipitor. He is only person to be elected as a Fellow of the American Statistical Association (ASA) and Regulatory Professional Society (RAPS). His deep expertise and experience in guiding and obtaining USA and EMA regulatory approvals is of particular relevance to the LipoCoat Group. He will therefore take charge of all US related regulatory matters with the FDA for the LipoCoat Group, working alongside the European Executive Board. LipoCoat BV is a spin-off of the University of Twente (The Netherlands). The company is the result of years of academic research. In Sep-2016 the company was established by Jasper van Weerd, Marcel Karperien and Pascal Jonkheijm. Alain le Loux and Raoul Oostenbrink joined the founding team shortly after. The company is headquartered on the campus of the University of Twente. LipoCoat BV became fully operational in Jan-2017. Since then the company has expanded its activities and has continued to develop its verticals and horizontals.